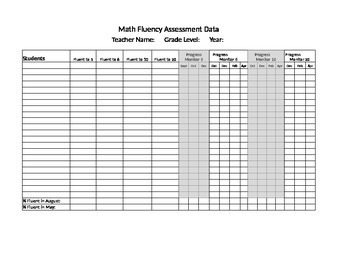 This is a FREE Excel spreadsheet to be used with the fluency assessment found in the Fluency Menu pack. You'll find the actual assessment in the Fluency Menu pack. This is only an Excel spreadsheet to help keep track of your student data.